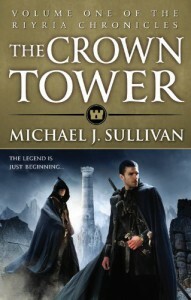 The Crown Tower is first book in The Riyria Chronicles that is a prequel to The Riyria Revelations series by Michael J. Sullivan. If you haven't heard about this series or author before, then you obviously are not an epic fantasy fan. I've been planning to start reading The Riyria Revelations for sometime now, but as always with overflowing to-read list somehow I never really got to it. So when a free ebook of The Crown Tower was up for review and note said that it can be read either way, I jumped to the chance to review it. 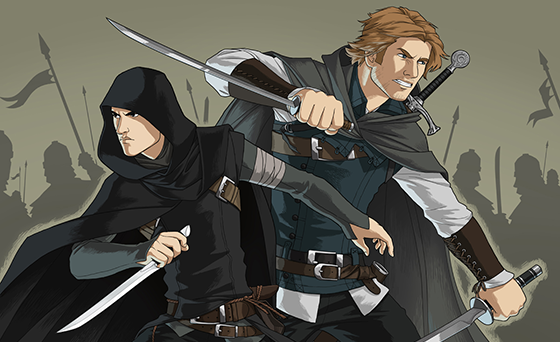 If you have chosen to start hanging out with Royce and Hadrian by reading The Crown Tower , like me, then you decided to follow chronological order of books. Although my OCD usually makes me pick this type of reading series, in case of Riyria my advice would be to go with publication order. A lot of times I had a feeling that I should feel much deeper connection to the characters or that there are mysterious links invisible to me that are familiar to those who read The Riyria Revelations. To them The Riyria Chronicles will be reunion with a well know friends and I think they enjoyed reading this book much more than I did. That being said, I can not say I didn't like The Crown Tower . Michael J. Sullivan has a nice writing style, he does not overwhelm you with infodumps, there is always something happening and new facets of characters personalities are constantly revealed. It's always interesting reading about characters that are opposite but have to cooperate together, and reading about Royce and Hadrian was no different. But my favorite part of the book were chapters dedicated to Gwen, a poor prostitute and her fight for survival. 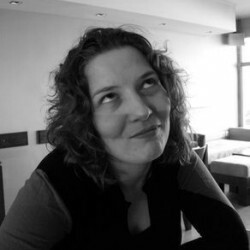 These chapters do not have almost any connection to current Royce and Hadrian's story but there are hints that Gwen will play big part in the future. I'm glad because I always like reading about strong and resourceful female characters.